12.5 mile flat ride form Glendale to Burbank and back; no-drop ride; we will regroup as needed; ride leaders at front and back. Walk Bike Glendale will be having its annual 2016 Kick off Party on the 31st! Pizza, beer/wine, vegetarian options and Family Friendly!!! This year we will be at the new PizzaRev in Glendale. Starting at the open of business on the day of January 31st, anyone that brings in the above flyer or even simply mentions Walk Bike Glendale at the cash register will have their receipt included into a donation pool. The fundraiser will be an all-day event, and both dine-in and take-out purchases are valid for inclusion. After the event, PizzaRev will donate 20% of the total proceeds from your attendees back to Walk Bike Glendale. Although an all day event the steering committee will be there starting at 5pm. Join us at 5pm to share your ideas for events and advocacy campaigns for 2016. Lets enjoy pizza and raise money for safe streets in Glendale! WBG continues Responsible Road Rides! Participants should be at least intermediate in experience and be willing to wear a helmet and obey all traffic laws. Pace will be between 12 and 15mph. This will be no drop ride. Meeting place Fremont Park near the basketball court. Route sheets will be provided. Join us on our wildly popular family-friendly holiday bike ride! We will be riding at a leisurely pace for a couple miles on the quiet streets of Rossmoyne. LIGHT UP YOUR BIKE FOR THE HOLIDAYS! Meeting at 5:30 and leaving at 6 pm sharp. Kids younger than 8 should be able to ride several miles or be on a safe child-carrying device to participate on the ride. How does Glendale’s Bike Network Compare? Huge thanks to WBG member Kayla A. Kaiser who recently completed an analysis of Glendale’s bicycle plan to compare it to the national average. Our technical expert and nerd friends should really enjoy this one. There are a variety of ways of characterizing networks in the field of transportation geography and network science. A classic set of connectivity measures includes beta, gamma, and alpha indices. We compared the current bicycle infrastructure in Glendale with the City of Glendale Bicycle Transportation Plan (page 75, Map 6-1) and 72 US cities of varying size and population in Table 1. It is clear that the current bikeway network in Glendale is behind the national average, whereas the proposed bikeways would propel Glendale to the forefront of the nation. Links are defined as pathway segments between two nodes. Nodes are intersections or termini at the end of a bikeway segment. The beta index is a ratio of links to nodes. Higher beta values constitute a more complex network, whereas lower beta values mean that a cyclist would have to ride in traffic where the network fails to connect points of interest. The gamma index is a ratio of observed edges to the theoretical maximum. Higher values of gamma indicate greater internal connectivity and increased redundancy in the network, providing a cyclist with greater choices. The alpha index is the ratio of the number of actual circuits to the maximum number of circuits. If the value is zero, then it indicates no circuits; and if the value is 1 then it indicates a complete interconnected network. In a recent article in the journal Transportation beta, alpha, and gamma indices were correlated with the number of bicycle commuters per 10,000 commuters. With and without correcting for city size and demographics, Schoner found that network connectivity (as quantified by alpha, beta, and gamma indices, among other factors) is positively correlated with increased numbers of bicycle commuters. The bottom line is that Glendale can do better and if we keep pushing for increased funding for bicycle projects in the San Fernando Valley Council of Governments Mobility Matrix perhaps we can increase our city’s profile among bikeable cities with interconnected networks of bike lanes. 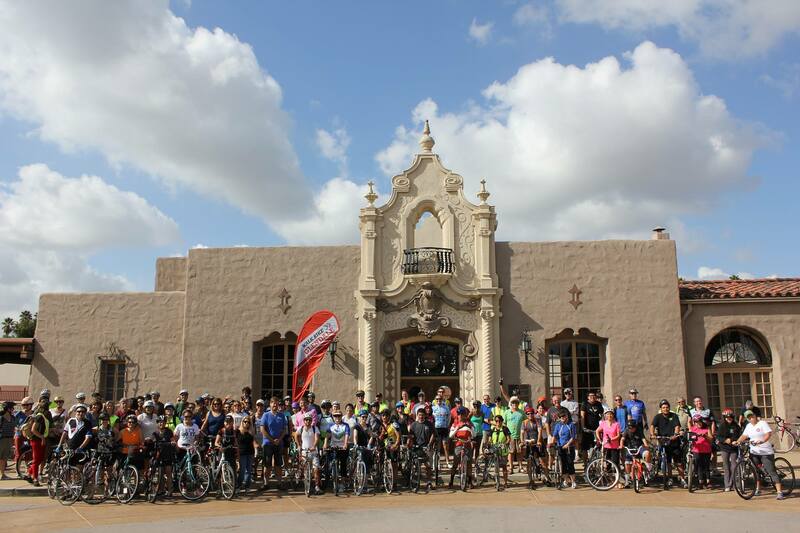 Save the date for the Jewel City Ride June 7, 2015. The ride will feature 3 new routes and raise money for important Glendale charities. For more information and to register CLICK HERE. Sign Now to Support Walking and Biking in Glendale! In case you were not aware, there are a few big transportation issues that are being considered that have a substantial impact on the future of the surrounding area in regards to our transportation infrastructure. If you want safer streets for walking and bicycling in Glendale, now is your chance to change history. Glendale is currently submitting its final recommendations for the San Fernando Valley Council of Governments Mobility Matrix. This list of projects will determine the amount of funding that is being spent on pedestrian and bicycle projects in Glendale for the next 28 years! Each year over 100 pedestrians and 50 bicyclists are injured or killed on Glendale streets in motor vehicle collisions (38% of fatalities and 16% of injuries according to SWITRS). Glendale continues to rank 1st in CA for pedestrian collisions involving a senior citizen (over 65 according to OTS). 19% of all trips in Los Angeles County are accomplished by walking and bicycling (NHTS). 36% of school children walk or bicycle to school in Los Angeles County (NHTS). Walk Bike Glendale is excited to start the new year with a little meet and greet over some nicely crafted drinks. Join us at The Moose Den Glendale for kick off party for the new year! Come have a cocktail with friends who are equally passionate about making Glendale a safer place to walk and bike. Meet WBG members and non-members plus find out about some exciting plans we have coming up. Come meet the new steering committee, find out about our new ideas for events, hear about our upcoming goals and projects, and tell us about your ideas for a better more walk-able and bike-able Glendale! Everyone is welcome so please share widely! MUST BE 21+ TO ENTER! Dear Walk Bike Glendale Supporters! As we close out the year and head into 2015, Walk Bike Glendale wants say a big thank you to all of our supporters, volunteers and our energetic steering committee members for their hard work making Glendale a city where everyone feels safe to walk and bike; and to take a moment to reflect on this past year’s accomplishments! Before we share though, we’d like to remind folks that none of this work would be possible without donations and memberships. We know donation requests are frequent this time of year, but let me assure you that investing in Walk Bike Glendale will pay dividends! Add us to your end of year donations list, register with us as a volunteer, or renew your membership with the Los Angeles County Bicycle Coalition (LACBC), noting Walk Bike Glendale as your chapter group. Now let’s inspire you! Here are all the amazing things we did this year with your support. 2014 was a year of abundance, full of exciting milestones. We hosted more events, fought harder for safer streets, and received headline after headline for our hard work in promoting bicycling and walking in Glendale. In February, Walk Bike Glendale held our first Strategic Planning Retreat to map out our goals for 2014-2016. We are happy to announce that at our December meeting, the final version of our 2014-2016 Strategic Plan was approved, and will be ready for public distribution in early 2015. With our strategic plan firmly in place, we will be on solid ground to apply for grant funding and bring in additional dollars to support our work. Thanks to our amazing steering committee, Walk Bike Glendale hosted more events in 2014 than ever before. Here’s the short list! This year Walk Bike Glendale continued our annual Bike Month and Walktober activities and added multiple Operation Firefly outreach events to make sure cyclists in Glendale have and use lights while riding at night. We also volunteered at numerous events such as Earth Day and K-9s in the Park to share information on the rules of the road and how to walk and bike safely. Finally, several steering committee members took a “Traffic Safety 101” course offered by LACBC which is the first step to becoming bicycle safety instructors. This means that next year we will be able to expand our educational efforts and teach more classes to the public here in Glendale on how to ride safely on the streets in traffic. The City of Glendale made several huge strides this year that will benefit the residents for years to come. Most importantly, with support and encouragement from Walk Bike Glendale, the City received $2,642,000 in grants for a Pedestrian Safety Master Plan, a City-wide Safety Education Initiative and Safe Routes to School Improvements. We also advocated for the creation of the Pedestrian Safety Task Force and provided feedback to the city on numerous opportunities to make the city safer for pedestrians. In addition, we have attended hours of meetings with the City on infrastructure projects to make sure every time the city improves a street, they do it for all modes. As we move into 2015 we look forward to your support either as an event volunteer; standing alongside us to support safer infrastructure; or helping educate all of our community members about the benefits of walking and bicycling in our wonderful Jewel City.